Glitter adds sparkly fun to all sorts of crafts, but those tiny metallic flakes can float through the air and stick to just about any surface. Glitter on painted walls and ceilings might be fine for a kid's room (and glitter in acoustic popcorn ceilings was a trend in the 1970s), but isn't so desirable on your kitchen or dining room's painted walls. Removing it doesn't require any scrubbing or detergent, even if you are dealing with an explosion of glitter. Move furniture and plants away from the wall where the glitter is. Thus, when brushing off the glitter, it will fall straight to the floor and not gather on other objects. Attach a dust brush attachment to your vacuum cleaner. Make sure it's clean so you don't smear dust on your painted walls. Vacuum the glitter from the walls. 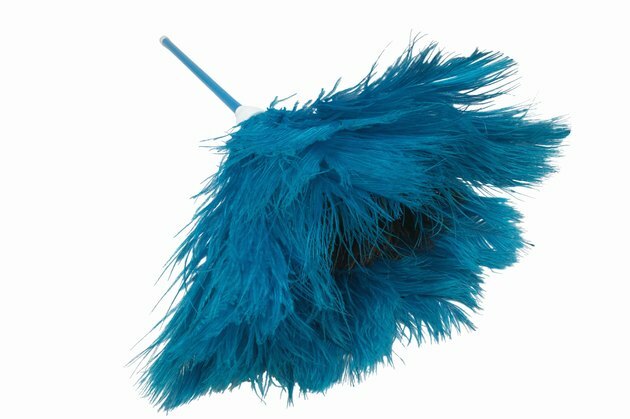 Brush the glitter off with a feather duster or soft brush if you don't have a dust brush attachment for your vacuum cleaner. Vacuum or sweep up the glitter from the floor.